Description: 123Designing.com, a web development and marketing company, offers their awards "in honor of the creativity, dedication, hard work, and heart that goes into designing and maintaining a website." Sites are evaluated on content, design, and originality. Citation: "Congratulation! You won the Bronze award from 123Designing.com! We thought your site was above the average websites out there. It was enjoyable and fun to visit, and shows Heart and Creativity. As a result we are happy to give you this award. Not many people can win this award! Good Job! ... Keep up the good work! ... Good Luck on your site and Congrats again!" Description: Nu-Horizons Design Studio, a Canadian web site development firm, offers numerous specialized awards to webmasters in recognition for "the time, imagination, artistic creativity and endless dedication in the development and growth of their site(s)." The Clubs and Organizations Award recognizes "sites and people that devote their time and energy in our community clubs and organizations for the betterment of all." Citation: "We are very pleased that you have decided to apply for another of our awards. We have given you the Resource Site Award and we are again honored to give you our Clubs and Organizations Award for inclusion on your site." Description: Hawaii City presents awards to "web sites that show excellence" and are "informative and unique." Sites are evaluated on ease of navigation, content, and design. Citation: "All of us agreed that you truly do have an interesting web site with quality content and design. The Aloha Award is not an easy award to win. That is why this award is seen so infrequently. ... Proudly display the Aloha Award to let others know that your Web site is informative, unique and has won this prestigious award. Congratulations and Aloha." Description: The Seasons of Change Award is a monthly award contest which recognizes personal web sites and those of nonprofit organizations. Awards are limited to a maximum of 16 Bronze, 12 Silver, and 8 Gold per month. Citation: "Congratulations!!! Your site East Forsyth Senior High School Class of 1979 has been chosen as a winner of The Seasons of Change Bronze Award for September 2003. I enjoyed my visit to your site. Thanks for making the web a better place. It is evident that you have put a lot of hard work into your web space. This award is not automatic. All sites are viewed." Description: BobStaake.com, the web site of award-winning illustrator-cartoonist Bob Staake, "only bestows this flashy and hip award to the coolest of sites." Citation: "Woohoo!!!!!! Congratulations! You have won a BobStaake.com Way Cool Site Award! 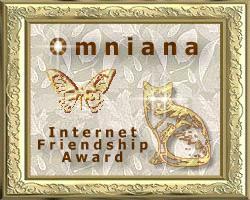 We don't give this award out to just ANY site, so wear it with pride. Again, congratulations!" Description: Nu-Horizons Design Studio, a Canadian web site development firm, offers numerous specialized awards to webmasters in recognition for "the time, imagination, artistic creativity and endless dedication in the development and growth of their site(s)." The Resource Site Award recognizes "site development and invaluable content" of sites which perform the Internet's function of disseminating information. Citation: "As always, the East Forsyth Senior High School Class of 1979 site is most deserving of the awards we have already bestowed [Webmaster Award and Personal Site Award]. Your site displays: excellent design and layout of web site, with quality content and informative information for your visitors. Your site is a wonderful contribution to the Internet Community. With that said, we are very pleased to give you our Resource Site Award."